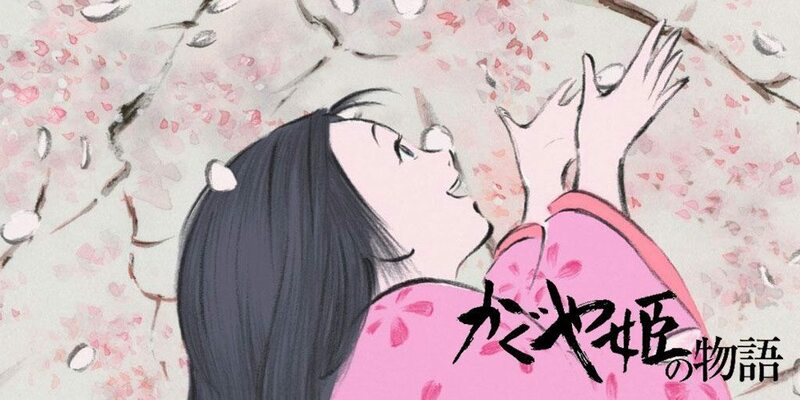 Kaguya-hime no Monogatari tells the tale of Okina and his wife Ouna, an old couple who live in the mountains. Okina is a bamboo cutter who one day finds a tiny baby girl living inside a glowing bamboo shoot. Childless, Okina and Ouna decide to raise this child as their own. They name her Kaguya, but because of her rapid growth, she soon earns the nickname “Takenoko” (Little Bamboo). However, it soon becomes clear that rapid growth is not the only odd thing about her.